Poland’s had a tough history. There’s never been a century when it hasn’t been invaded. I found a map that showed the western countries that hadn’t had a go at taking over Poland were few and far between. What with Swedes and Prussians and Austrians and Germans and Russians invading, ruling, dividing and subjugating, it’s a wonder that Poland has a national identity, language, or culture at all. But it has. And the Polish people are proud of it. 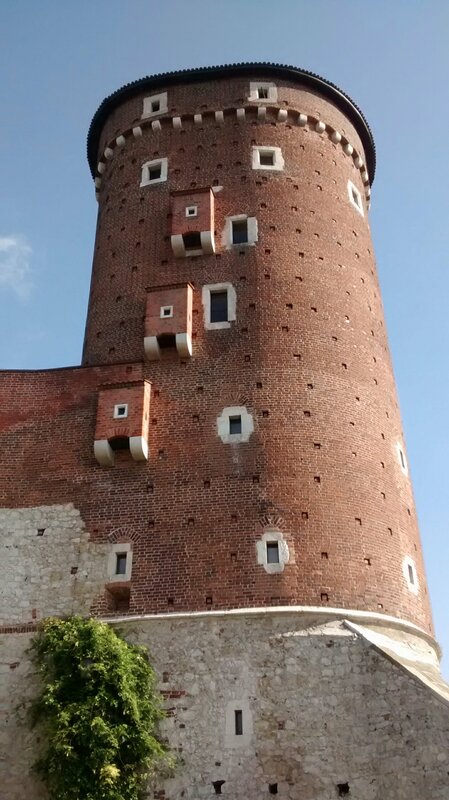 Take Wawel Castle in Krakow. Originally built in the 11th century, then rebuilt, it burned down in 1499. 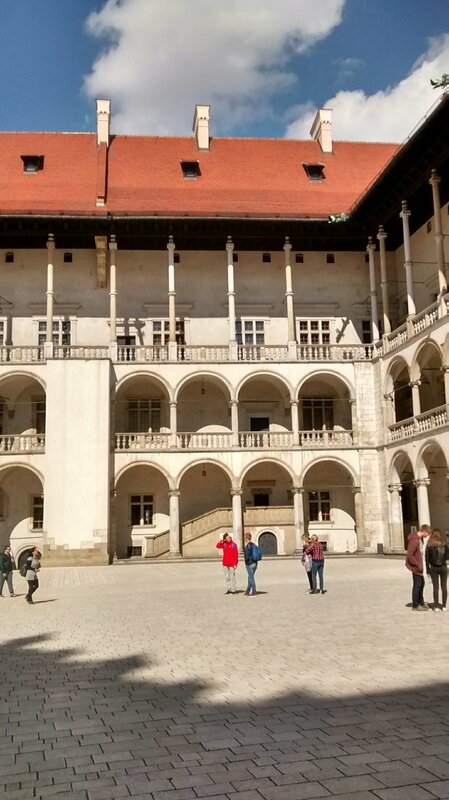 And what a palace Sigismund the Old commissioned in its place! His wife was from Italy, a Sforza, and Italian workmen wrought a Palazzo fit for her to enjoy. Since then, it was repeatedly sacked by armies from Sweden, from Prussia, and then from Austria. These last razed churches and houses on the site, constructing instead barracks and a military hospital while ruining the mediaeval fortifications. Poland was once again re-established after WWI. 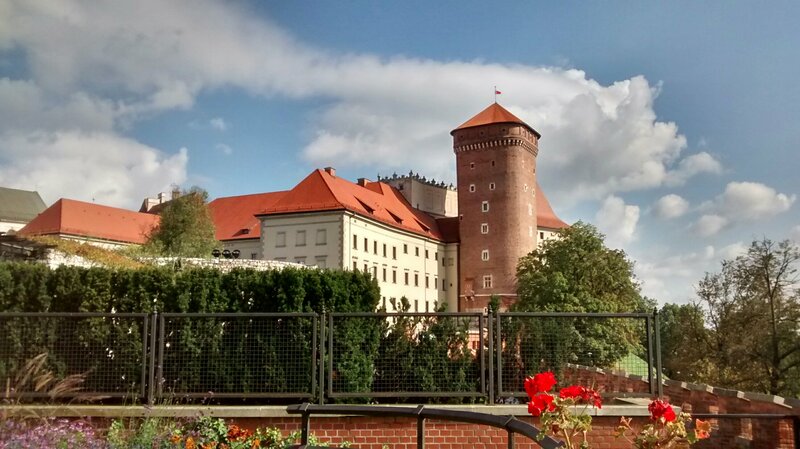 Since then, the castle and the entire enormous site has gone through a period of painstaking restoration to reveal its earlier Polish ancestry. If this means rebuilding, or scaling away later additions by conquerors, so be it. 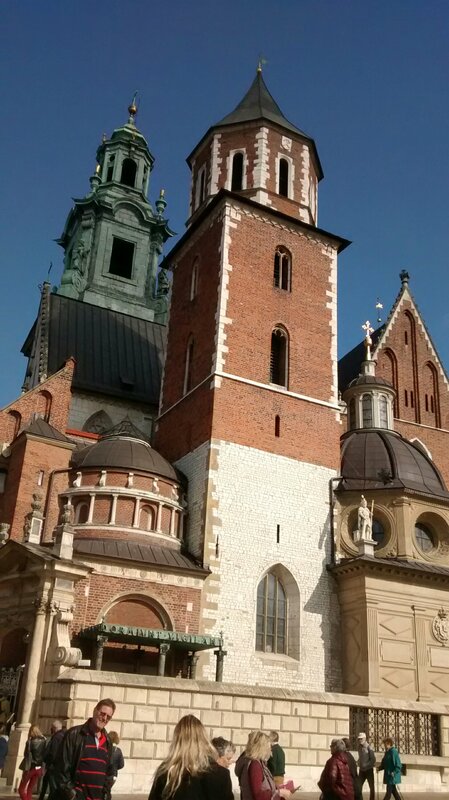 Wawel Hill is an enormous site shared by state and church alike. Here are some pictures to give some idea of this magnificent area of Krakow. The images show the Renaissance courtyard, the Royal Cathedral, the Sandomierska Tower and a view of the site from within the Castle walls. Excellent pictures of a fascinating site, I remember it well. Once seen, never forgotten I think. It is. And so we’ll thought out for the visitor. We spent hours there. Actually that may not be fair. I guess it’s the church you’re looking at. It began tiny and Romanesque. Then Gothic bits were added. Then the Renaissance came along and more was added. And finally Baroque. It all made perfect sense at the time!